The pretty little town of San Rafael (also known as Sant Rafael de Sa Creu) is ideal for families and anyone seeking for a calm and relaxed second property away from the non-stop activity of the bigger resorts. Sant Rafael property offers just that prospect. Local prime real estate market offers a selection of luxury villas, traditional fincas and country estates. 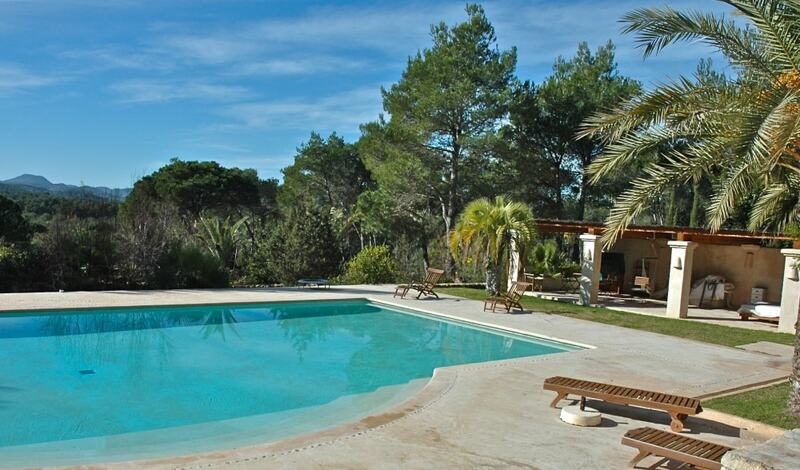 Sant Rafael property prices are slightly below the Ibiza’s regular. The average price for a house is around Average price per sqm. in San Rafael €5,564 0% properties#: 47 last change on: 23 Apr 2019 €5,564 per square meter and an apartment is approximately Average price per sqm. in San Rafael €3,192 0% properties#: 1 last change on: 14 Mar 2019 €3,192 . For investment opportunities, the average price is Average price per sqm. in San Rafael €1,292 0% properties#: 2 last change on: 23 Apr 2019 €1,292 per square meter. Sant Rafael property buyers appreciate spectacular views of the Mediterranean Sea. There is an extra premium value for houses with a sea view. The most active real estate agencies in the area in 2017 are Luxury Villas Ibiza and Ibiza Properties for Sale and Inmobiliaria Del Mar with the highest amount of listings on Sant Rafael property market. 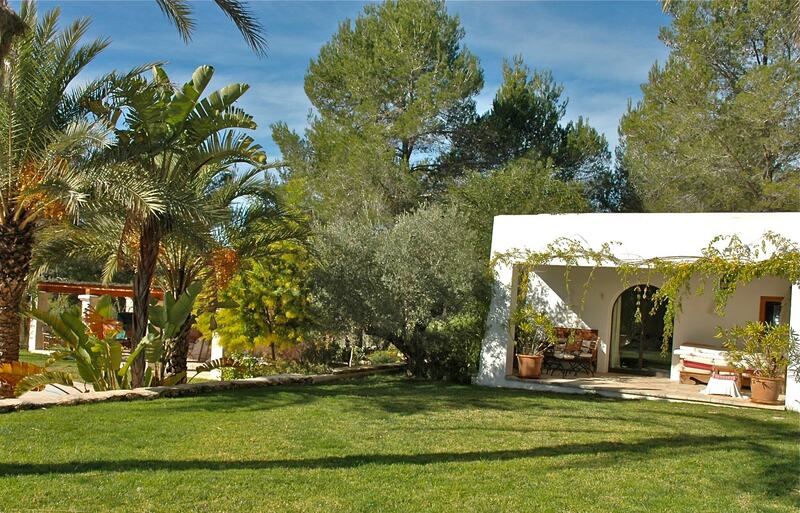 It is situated off the main road between Sant Antoni and Eivissa, near the island’s west coast. Despite its location, San Rafael manages to retain a tranquil atmosphere and traditions. And whilst ancient customs are still present, it is still a modern neighbourhood providing everything needed for the 21st -century living. With it, this tiny village is well-known among the party lovers as it is a home to two of the famous nightclubs in all Ibiza, Amnesia and Privilege. 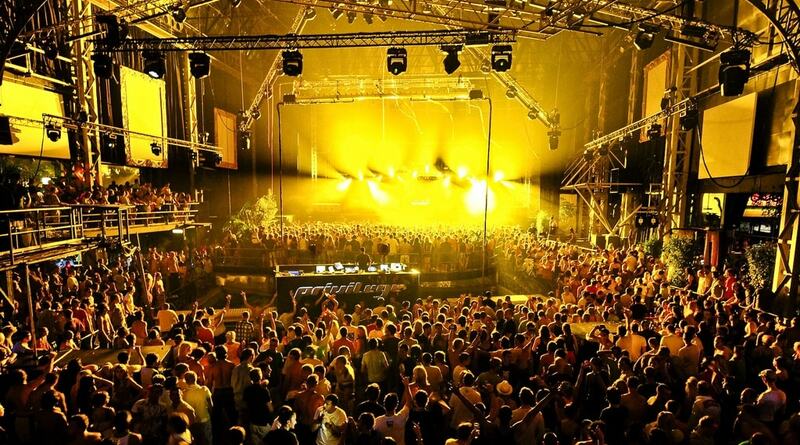 More than that, Privilege is said to be the biggest super nightclub in the world. It wows even the most sophisticated partygoers not only with its state of the art music sound system but also with the spectacular dance displays, areal shows and the massive number of people attending it in one night (some 10,000 people!). Amnesia is a similar nightclub, but half the size. It also notable for winning the Best Global Club prize three years in a row. Apart from the clubbing scene, as a town itself, San Rafael is not a popular destination for tourists. It does not host the best hotels; however, in the surrounding countryside, the visitors will find some agro-tourism resorts. Yet, for second-home buyers there is a good choice of properties including rustic fincas, building plots, renovated villas, and corner terraced houses, boasting spectacular views. Notably for art lovers, San Rafael has been declared as the only official craftwork and artisan zone on the island (Zona de Interés Artesanal) for its outstanding ceramic and pottery production. Some of the best Ibiza’s potters established their work in the village. They make traditional wares using thousand-year-old techniques, dating back to the time when it was firstly introduced to the island by the Mediterranean invaders. And here you find two renowned pottery shops (Ceramics Icardi and Ceramica Can Kinoto) and nice roadside workshops. Both shops offer a variety of awesome crafts, ranging from a couple of euros to a several hundred euros. Like many Ibiza villages, San Rafael is dominated by the church. Though, it is somewhat different to most of the island’s churches as its exterior has a touch of a Moorish style. This 18th-century whitewashed church is an excellent sight. Built on a vantage point, it provides splendid views overlooking the historic centre Dalt Vila and the sea. At dusk it is especially spectacular to watch the lights of the town illuminating from a distance. San Rafael is a small town, but there’s no lack of good bars and restaurants, which are visited by people from all over the island. Foodies will find here a string of eateries that offer typical local dishes, such as rustic bars serving delicious tapas, and more sophisticated Mediterranean cuisine specialties. Can Pilot is a favourite place among the locals for its quality meat dishes. Es Tancó serves a traditional food with a modern touch. The Rabbit Hole is an organic, vegan and raw cafe and health food store. And, El Ayoun is rather different restaurant that offers more upmarket delights of North African and Provencal cuisine. Here you can have a romantic dining set in Arabian-Moroccan style. Just outside the town, there are two equestrianism centres. Very interesting is the enormous horse stud farm Los Olivos, the only one of its kind on the island. It houses nearly three-dozen thoroughbred Andalusian horses who get such an upper-class treatment they even have their own swimming pool. Its doors are open to everyone interested. On the road to Santa Eulalia you find the Hippodrome that is a home to the trotting races in summer, and in winter it hosts moto cross events. From October until November, the town celebrates its local festivity (Fiesta San Rafael) with games, sports, leisure and cultural activities, including traditional dances. During the festival you can also taste some local food specialties, such as sweet pastries (buñuelos), the rice (arroz de matanzas) and pork dishes, and locally made wine. If you fancy getting around the Ibiza, San Rafael is a perfect point for exploring it. For example, the popular neon-lit resort of Sant Antoni with its fabulous sandy beach, pretty harbour, and boisterous nightlife is just 9 km far from the village. Also, around this area you will find quieter calas and bays, in case you wish to get away from the crowds. Ibiza Town with its amazing shopping, vibrant waterfront and charming old quarter, as well as nearby beach resorts of Figueretas and Talamanca are just some 7-8 km far away.